What are my options for whiter teeth? 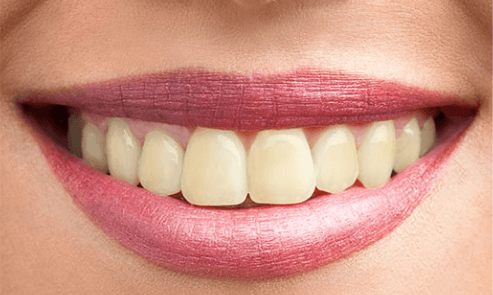 What’s the advantage of whitening my teeth at the dentist? 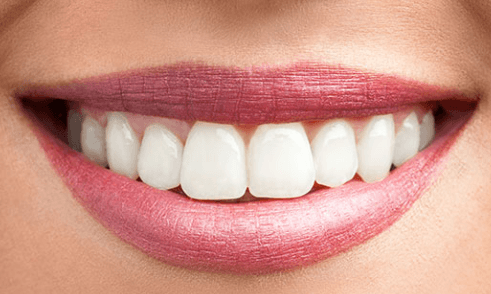 Profesional teeth whitening in Orange County. Before chair-side teeth whitening with Zoom. After chair-side teeth whitening with Zoom. Our teeth turn yellow over the years for many different reasons. Teeth whitening can help reverse this darkening effect to give you a whiter and brighter smile. Most teeth whitening systems use a high concentration of Carbamide Peroxide or Hydrogen Peroxide. Once applied to your teeth, the peroxide penetrates deep into teeth surfaces. Peroxide breaks down internal stains within our teeth to remove internal stains. This removes the yellowness on our teeth to give you whiter and brighter teeth. There are many different options to whiten your teeth available to you. As you can see, there are many different teeth whitening options available. However, which product works best product for you will depend on several different factors. What caused your teeth to turn yellow is the most important factors. Other considerations include teeth sensitivity, gum recession, existing restorations, etc. Consider consulting with your dentist to see what your best teeth whitening options are. Only your dentist is allowed to use the highest concentrations of Peroxide solution. If you want the absolute best, then you should talk to your dentist. Whitening procedures offered by the dentist are far more effective than over-the-counter ones. Only your dentist is allowed to use the highest concentrations of Peroxide solution. High concentration Peroxide can be very dangerous if used unsupervised. Applying peroxide to your gums can burn them and permanently damage your teeth and gums. This is why only dentists are allowed to administer the most effective teeth whitening treatments. Before in-office teeth whitening, abarrier must be placed to protect your gums from the Peroxide gel. Before starting your whitening, your dentist needs to isolate your gum tissue. Yout dentist, or his assistant, will place a barrier on your gums. This will function to isolate and protect your gums against the strong whitening gel. Once your gums are isolated, it’s time to apply the bleaching gel. 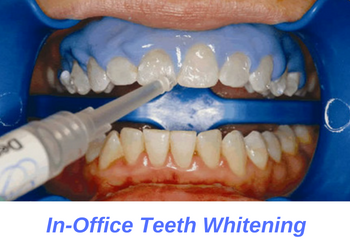 Your dentist or a dental assistant will carefully apply whitening gel. The bleach will be applied to all teeth surfaces that are planned for whitening. Once applied, the gel remains on your teeth for about 45 minutes to an hour. During this time, your teeth will continue to whiten and turn brighter. Most bleaching systems also use a UV or LED light. The light helps breakdown the bleaching gel so it acts faster and is more effective. Once treatment is complete, your dentist will remove the whitening gel and barrier. You are now ready to go and show off your beautiful white smile! 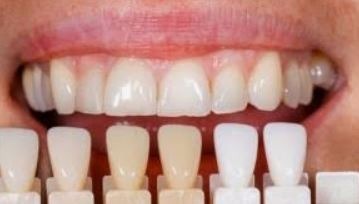 Your dentist will make you a set of custom bleaching trays. These trays are made from impressions of your upper and lower teeth. 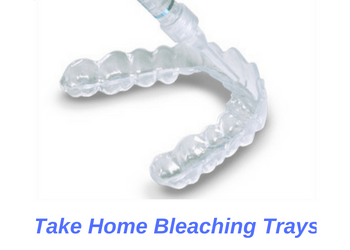 Custom bleaching trays sit snug on your teeth to directly apply the whitening gel to your teeth surfaces. Always, start by brushing your teeth thoroughly. 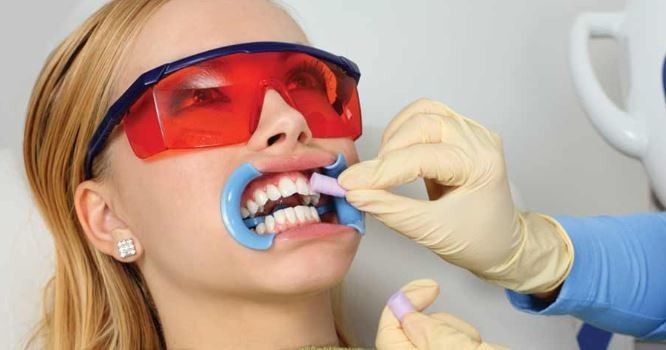 Next, carefully insert the whitening gel inside your custom trays. Apply the gel evenly into areas planned for whitening. Finally, position the trays gently onto your teeth, making sure not to mix in any excess saliva. Remove any excess gel which pours onto your gums to prevent gum irritation. Allow your trays to stay in your mouth as per the manufacturers recommendation or until experiencing sensitivity or pain. Wear times vary for each product, ranging from minutes to hours to overnight wear. Talk to your dentist to decide how long you should wear your custom trays. We offer chair-side and take-home teeth whitening systems including Zoom and Boost bleaching systems.